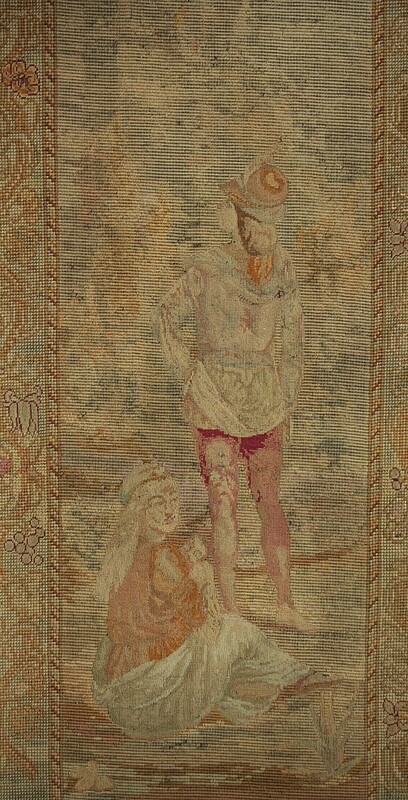 Three 16th.c. 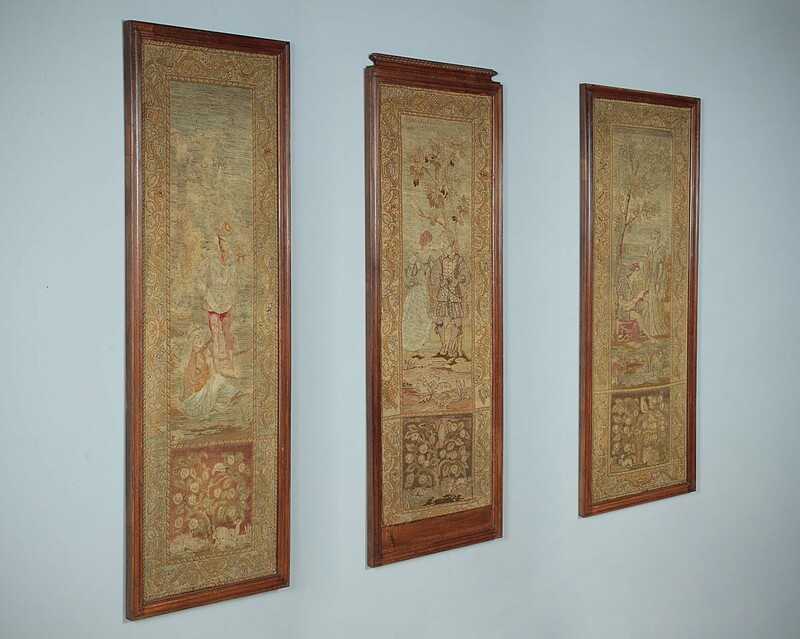 Style Framed Tapestry Panels. Interesting set of three late 19th.c. 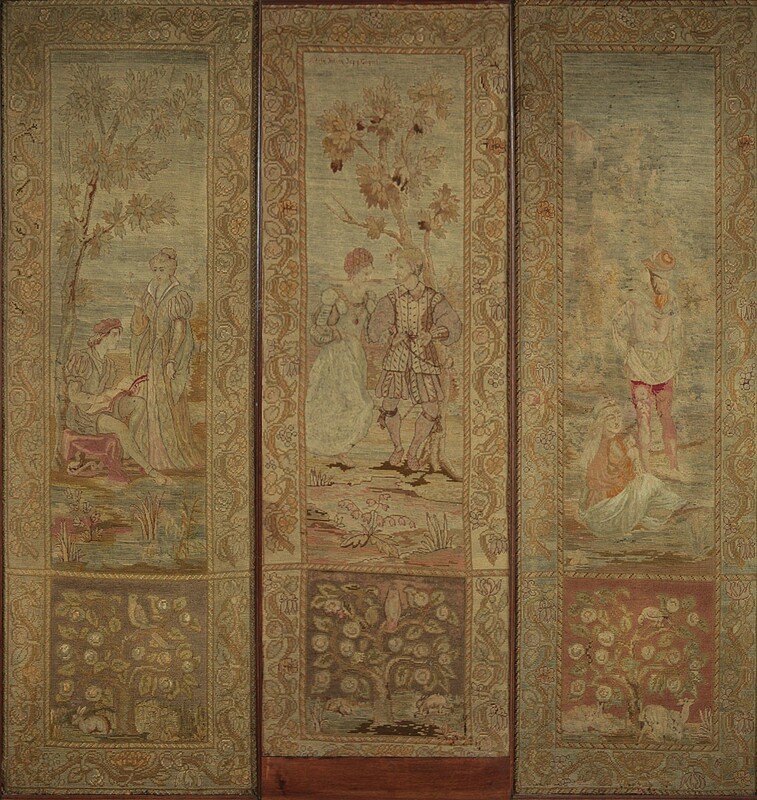 framed tapestry panels c.1880. 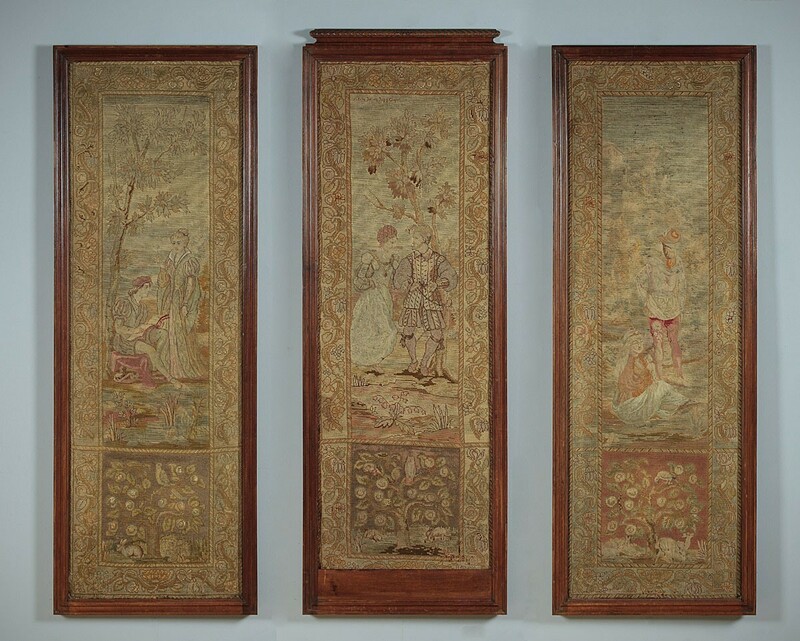 Long narrow woolwork panels with embroidered detail. 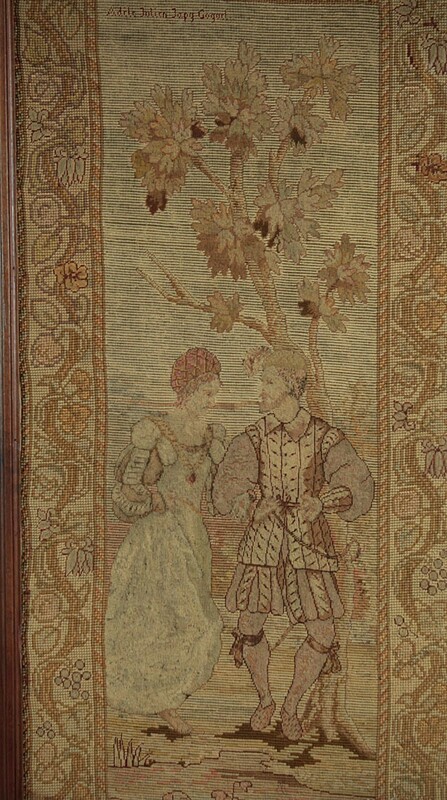 Each featuring a different scene of courting couple in 16th century costume. Below is a tree with various animals and birds, all surrounded by a border patterned with plant forms. 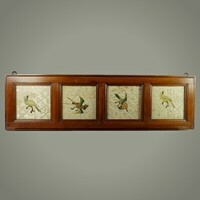 Centre panel is signed Adile Julien Japy Gogard to the top left hand corner of the main image Moulded walnut frames to each panel, the centre having an additional carved and gadrooned pediment. 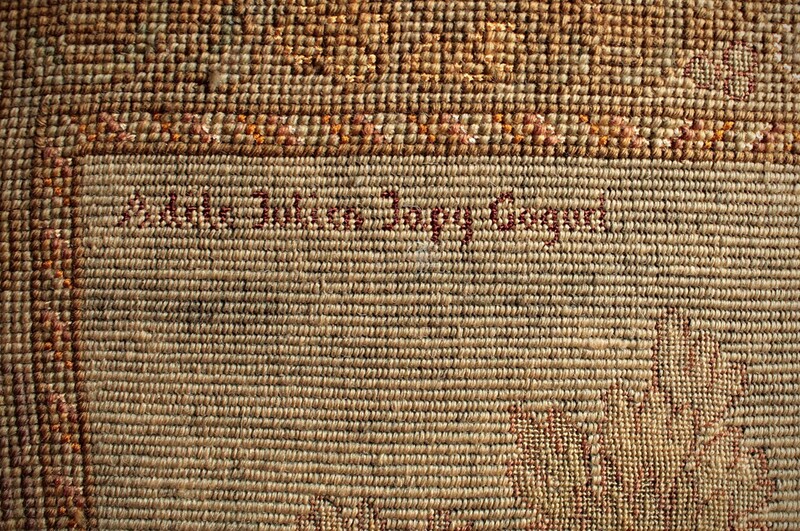 A little worn and faded with age, generally very good condition with no holes to the tapestry. Dimensions: width 20½", depth 1¼", height 58¾" and 60½". Pair of Japanese Shibayama Panels of Cockerels.